When you need fibreglass products for engineering, industrial, construction and refurbishment, we're here to give you unbeatable quality, great customer service and quick installation with as little disruption as possible. We can provide you with a professionally installed GRP lining and complete surface preparation for almost any situation. Our fibreglass linings have a 20+ year lifespan, ensuring that repairs to tanks, bunds and other industrial equipment are both economical and long lasting. When it comes to safety, our anti-slip flooring, stair covers and grating reduces injuries and staff downtime even in the most slippery conditions. 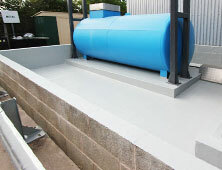 Our extensive range of IBC Bunds, Tank Bunds, Drum Pallets & Spill trays GRP moulded products help tackle leaks, drips and spills at the workplace. 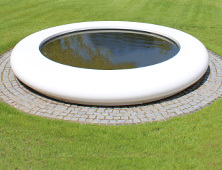 We fabricate high quality GRP fibreglass mouldings to any design – giving you durable storage tanks, vehicle components, architectural features, modern outdoor seating and even stylish 21st century office furniture. Whatever you need fibreglass for, we're here to create it for you – to the highest standard, at a great price and with the best possible service. Call 01206 798798 now to arrange your free, no-obligation survey, get a quote or speak to a GRP fibreglass expert. 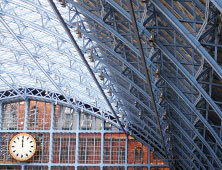 Protection, repair, safety – what can GRP do for your industry? Protect your bund, cooling tower, tank, walls and floors with a GRP Lining. Save money – and the environment. Protect steel, iron, roofs and cladding with chemical-resistant, corrosion-resistant and fire-resistant coatings. You supply the design, we'll do the rest – from architectural features to industrial storage tanks. 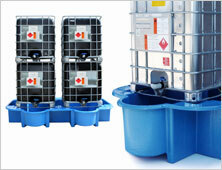 A range of sturdy, lightweight IBC Bunds, Bund Stands, Tank Bunds, Drum Bunds, Spill Trays and spill control products. 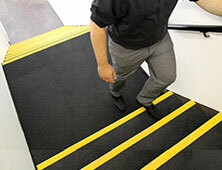 Improve safety in slip hazard areas with Anti-Slip Stair Nosings, Stair Treads, Floor Sheets and Decking Strips. 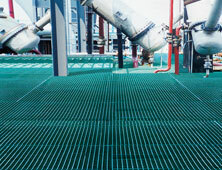 Tough, long-lasting and slip resistant, GRP Grating for walkways, platforms and industrial surfaces. GeoMet Modular Seating, Water Features and Planters. Transform urban, industrial and garden landscapes. Beautiful seating, water features and planters in contemporary styles. Simple curves & colours of fibreglass add beauty and value to your exterior or interior areas, showrooms, exhibitions, foyers & lobbies. Hand-crafted, they're durable with a 5-year guarantee. A range of modular seating choices. 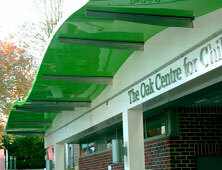 Manufactured in sections, allowing great flexibility in space planning. 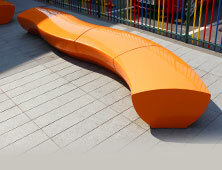 Hand-crafted in GRP fibreglass, designed to look beautiful in domestic, urban and industrial landscapes. 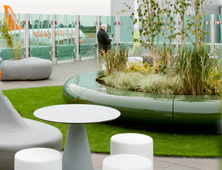 Fibreglass planters suitable for interior or exterior, to match our modular seating or standalone use. "Our store room contains a range of alkaline solutions to enable us to manufacture our world-leading connectors and interconnectors. We needed a membrane floor to ensure the alkalines did not leach into the concrete. We've commissioned Sui Generis to undertake a number of works for us in the past and we knew they would do an excellent job. Once again they exceeded expectations, and worked to the outlined budget and time specifications. I would give them a 100% record!" "The syrup room is 400m² and contains 18 tanks. We needed an expert team to come in; undertake minor repairs, prepare the existing quarry floor for lining, line the floor, and work around the tanks, all in just five days! The team from Sui Generis did a great job, and they got everything done – just like they said they would." "Regularly arranging and coordinating new contractor teams to site, I see the best and worst of safety and quality values with different companies. May I commend your team and company on the first class service that SI Group UK Ltd have received for this project. The project was completed well within the agreed time scale, to an excellent standard, and with an extremely safe, flexible and agreeable team." "At Yara we're an industry shaper, and safety is our primary concern. It was very important when awarding this contract to partner with a company whom we could trust to deliver to our exceptionally high standards. We have worked with Sui Generis in the past and would be very happy to employ their services again." "We were impressed by the professionalism of Sui Generis both in your handling of contractual and administration issues and the implementation of the repairs carried out by your team at site. We most certainly would use your services again and have no hesitation in recommending your company to other asset managers within our group and any other prospective clients." About our Health & Safety.